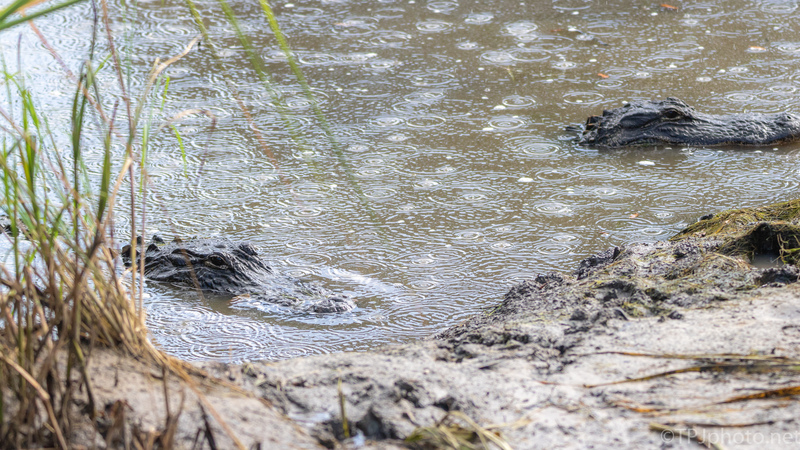 A group of Alligators is called a ‘Congregation’ or Congress (which I prefer, LOL). 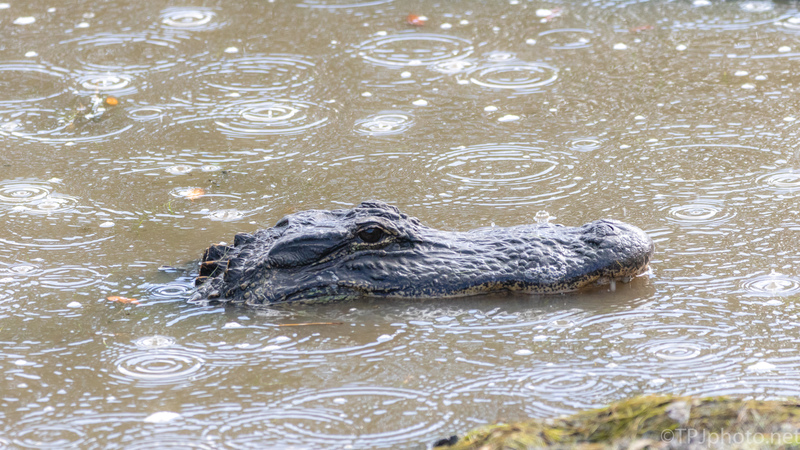 Late spring and early summer is Alligator time. 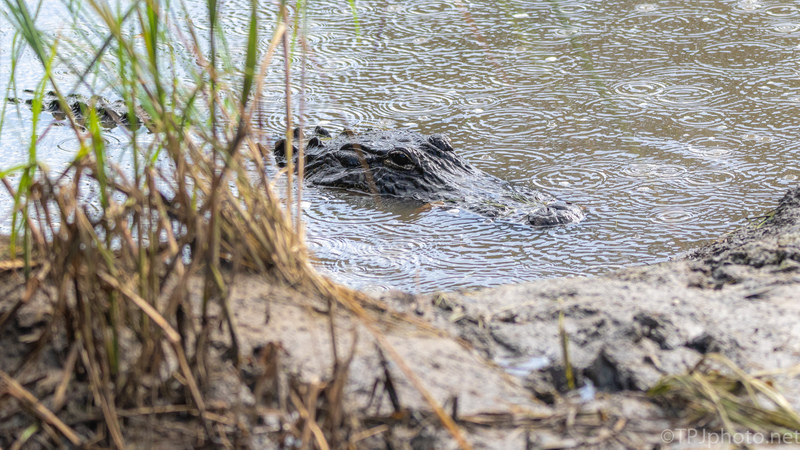 When photographing Alligators the best time is when the marshes are low. 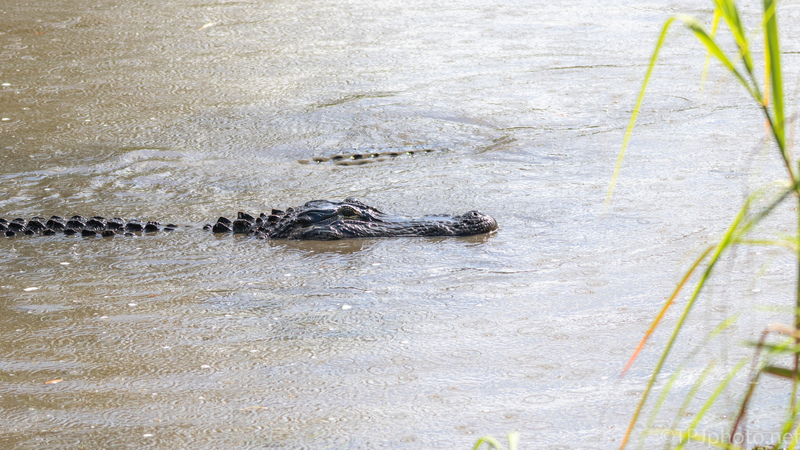 The big Alligators are out in the big marshes, and shallow water makes them start a congregation to hunt. These images were taken as a shower started and they began to mass right along the banks. Since there is a steep incline right here a photographer can stand fairly close, safely, and shoot down on the bank maybe 20 feet (6 m) away. Above there are 2 Alligators, one is almost fully submerged. 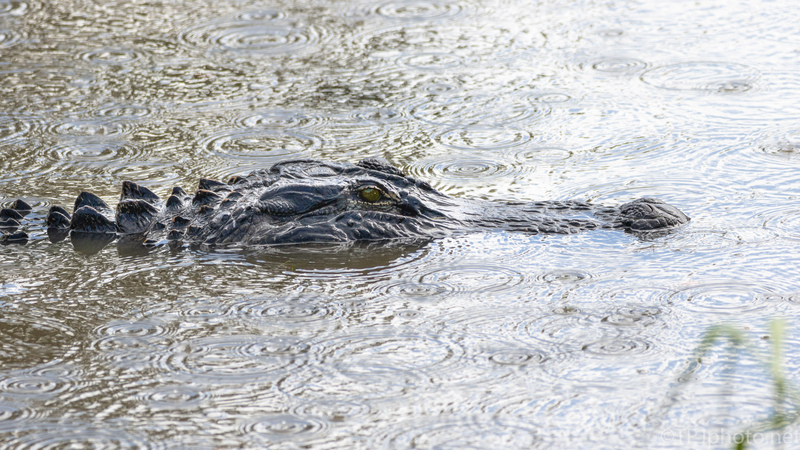 In this shallow water digging through the mud chases out hidden prey. I anticipate a few good ‘group sessions’ before the water rises again.